Home > Auto Loans > How Much Will My Credit Score Drop If I Apply for a Car Loan? Shopping for the best deal on a vehicle loan is smart, right? After all, for many of us, a loan to buy a car or truck will be one of our largest loans. Most of us (84%) rely on financing when purchasing a vehicle, according to data from Experian Automotive (fourth quarter, 2014) and the average loan amount for a new vehicle is $28,381; the highest on record and an increase of almost $1,000 from a year ago. In fact, the average monthly payment is now up to $482. Shaving even a percentage point off the interest rate on a car loan can mean decent savings. So how is it that these consumers have seen their credit scores drop dramatically due to auto loan applications? One possible explanation is that the scores they are monitoring are not FICO or VantageScore credit scores, but instead are custom bureau scores or educational scores that do not include a buffer for inquiries. In those cases, if the consumer later applies for credit with a lender that uses FICO or VantageScore scores (most do), those inquiries will be “de-duped” so they are treated as a single inquiry. Another possibility is that the inquiries are not properly identified as auto-related inquiries by the source, though that’s less likely. And still another possibility is that some of these consumers may have seen their credit scores through one source the first time and another source the second time. Finally, if a new auto loan had already been reported, that could affect their credit scores. How can you protect your credit when you shop for an auto loan? It can be helpful to review your credit reports and credit scores before you go to the dealership, then apply for financing with a trusted lender in advance. (You can get a free credit report summary from Credit.com to see where you stand before you apply. Checking your own credit does not affect your scores in any way.) A credit union or local bank isn’t going to share your loan application with multiple lenders the way an auto dealer will. If you get pre-approved, you can simply tell the dealer you already have financing and don’t want them to pull your credit reports. Not only can this help you avoid possible damage from multiple inquiries, but it can also help you focus your negotiations with the dealer on the car and not the loan. Getting inquiries removed can be tough. 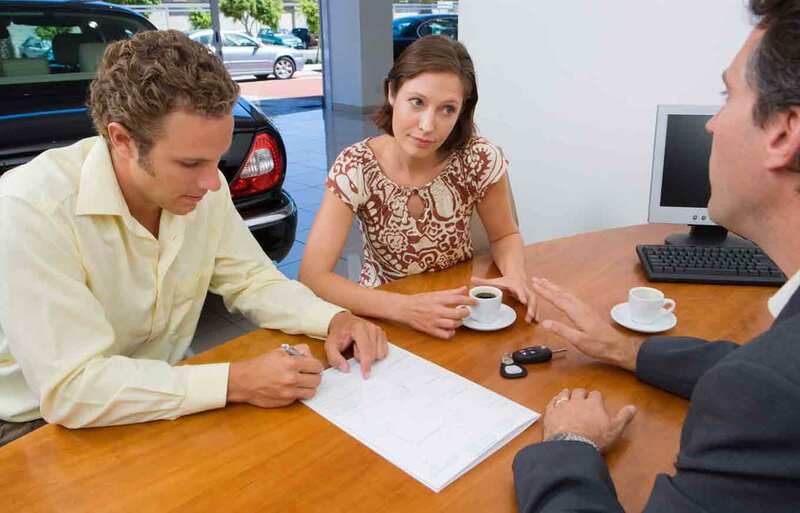 If you are confident you did not authorize a car dealer to access your credit reports, then you could dispute them as fraudulent or unauthorized. If you can’t get them removed, keep in mind that when another lender uses one of the credit scoring models mentioned above, those inquiries may be grouped together as one. And also note: Inquiries are only reported for two years and generally only affect your credit scores for one year. So over time, their impact should diminish.